Pakistan is a mountainous country nestled on the crossroads of Central and Western Asia. With a population exceeding 201 million people, it is considered a cradle of civilisation. Pakistan offers the chance to witness diverse people, cultures and breath-taking landscapes. Popular attractions include Pir Sohawa in Islamabad, Mohatta Palace in Karachi and Lahore Fort in Lahore. 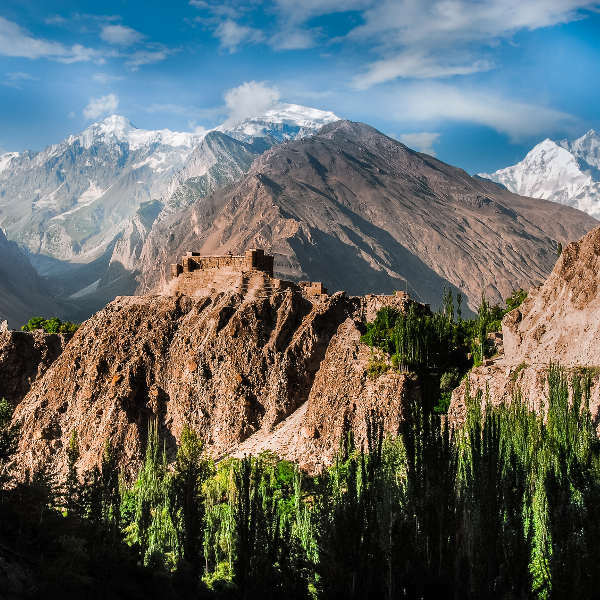 Cheap flights to Pakistan are now available for a limited period of time, so prepare to discover this country’s hidden gems! Pakistan’s capital city, Islamabad, is the home of Benazir Bhutto International Airport (ISB), which is a 40-minute drive from the city centre. Discover the most beautiful mosques. Aesthetics that will move through your core, these mosques are renowned for their architecture and profound history. 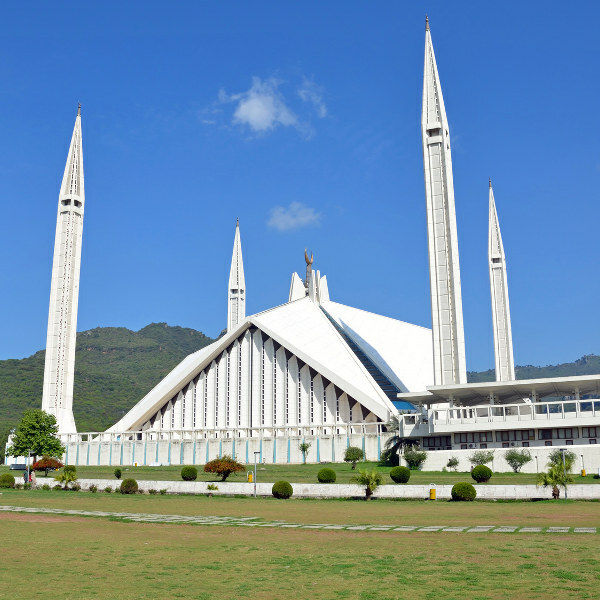 Be sure to respectfully visit mosques such as Badshahi Mosque in Lahore and Faisal Mosque in Islamabad. Pakistan has approximately 157 protected areas that are recognised by the International Union for Conservation of Nature. The oldest national park is Lal Suhanra in Bahalpur District. Embark on Pakistan’s incredible natural attractions such as Swat Valley and Hunza Valley. 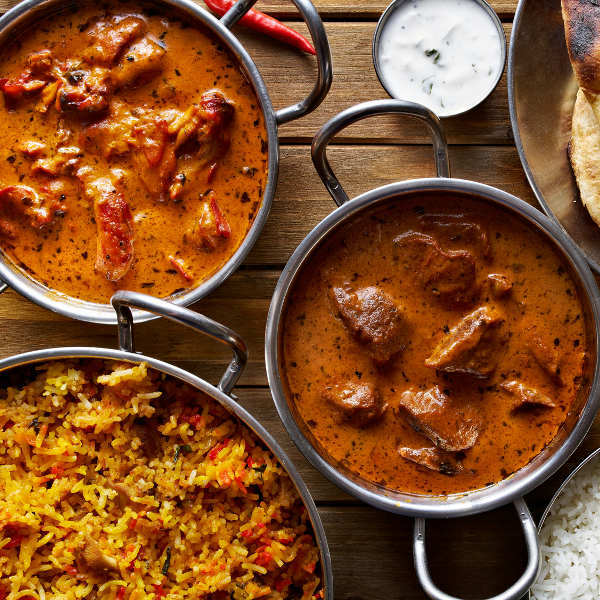 Pakistani cuisine is rooted in tradition, it is full of exquisite and diverse dishes. It incorporates Indian, Far Eastern and Middle Eastern cooking which afford its incredible range of flavours. One of a kind dishes include shir khurma and scrumptious curries! Pakistan’s climate and temperatures vary in the different regions, but tourists can expect mainly hot and dry summers. Winter (December to February) is the best time to visit Baluchistan, Sind, Punjab and the southern parts of the North-West Frontier Province. Temperatures can go up to 49 degrees Celsius in the plains during the summer rainy season (June to September). The blistering heat is synonymous with load-shedding, lawn collections and an intense love for mangoes! The best time to visit the capital city, Islamabad, would be between November and April when the temperature is slightly chilled and not very hot. This cradle of civilisation captures the world’s timeless beauty. Pakistan’s landscapes are truly a masterpiece. Precious land that was previously home to ancient cultures and later home to kingdoms ruled by people of different faiths and cultures such as the Hindus, Muslims, Turco-Mongols, Afghans and Sikhs provides the roots of this diverse country’s identity. A trip to the city of Lahore, provincial capital of Punjab will reward you with rich history dating back over a millennium, and insightful attractions, including Badshahi Masjid, Shalimar Gardens and Lahore Zoo. Islamabad is the capital city of Pakistan and boasts a one of a kind mix of ancient and modern cityscapes. Head to Daman-e-Koh in the hills around Islamabad for a magnetic view of the entire city. The capital city is in close proximity to nature, therefore, affording its exquisite mountain trails for outdoor enthusiasts. Margalla Hills National Park has several hiking trails and is home to incredible birds, including falcons, hawks, eagles and Egyptian vultures. The business hub of Pakistan, Karachi, is a megalopolis with more than 20 million people in the city itself. Bustling streets are synonymous with Karachi and, it is best to remain mentally focused when navigating through the city. Embrace the culture, heartwarming people, the unique city madness and of course, the infinite cricket! Compare several airlines and book your cheap flights to Pakistan online at Travelstart! Travellers should be up-to-date on routine vaccinations. These vaccines include vaccines include measles-mumps-rubella (MMR), diphtheria-tetanus-pertussis, varicella (chickenpox), polio, and your yearly flu shot. There is a risk of hepatitis A and typhoid in the country and tourists are advised to get vaccinated for these diseases. Pakistan is considered a safe country to travel to. Contrary to images portrayed in mainstream media, cities in Pakistan can be a joyous place to visit. It is advised to remain cautious, as within every major city around the world. • Be wary of banditry in rural areas such as Sindh and Punjab. • Keep valuables out of sight when travelling by car. • Do not flaunt your personal belongings in public spaces. • Always carry some form of identification with you. A copy of your ID or passport will suffice. • Always hire an experienced guide when trekking the mountains. • Be well informed of the weather and conditions before engaging in outdoor activities. • Remain respectful during the month of Ramadan – tourists who do not practice Islam are encouraged to observe the rules of the country by not eating, drinking, chewing gum or smoking in public during the daytime.